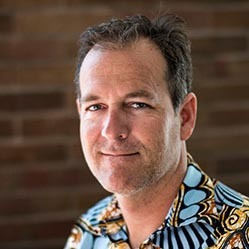 Funding has been awarded to principal investigator Kenny Sherr by the NIH Eunice Kennedy Shriver National Institute of Child Health & Human Development for "Spreading the Integrated District Evidence-To-Action Program for Neonatal Mortality Reduction (IDEAS) in Mozambique". Significant increases in global health investment to deliver low-cost, efficacious interventions contributed to an over 50% reduction in under-five mortality in the 25 years leading up to the end of the Millennium Development Goals in 2015. The rate of decline in child mortality has slowed due to high neonatal mortality (mortality in the first 28 days of life), especially in low resource settings in sub-Saharan Africa. In countries with high neonatal mortality, improving the quality and coverage of implementation of Ministry of Health guidelines that include available, evidence-based interventions delivered at or around the time of birth has the potential to jump start stalled population-level child mortality reductions. Audit and feedback approaches systematically assess and provide feedback to health professionals on their performance to guide adjustments to practice, and have the potential to improve the routine implementation of evidence-based guidelines for clinical interventions that prevent neonatal deaths. The Integrated District Evidence to Action (IDEAs) program is a multifaceted, enhanced audit and feedback implementation intervention that aims to improve the coverage and quality of a package of existing, evidence-based clinical interventions targeting major causes of neonatal mortality. IDEAs modifies audit and feedback by engaging health managers across the tiers of facility, district and province (rather than front line health workers in isolation). Furthermore, it is enhanced with systematically collected health service readiness data and routine district to facility supportive supervision to provide ongoing support to facility personnel who deliver clinical interventions that prevent neonatal deaths The overall goal of this application is to gather evidence on spreading the IDEAs audit and feedback intervention that is led by district management teams (rather than research teams), to serve as a foundation for national scale-up. We propose to implement IDEAs in 12 high population districts in central Mozambique using district management teams as disseminating agents, who will implement IDEAs in subordinate health facilities. Using a 4.5-year quasi-experimental design, a mixed- methods evaluation will be used to assess the impact of the intervention on health system responsiveness, as well as quality and coverage of interventions to prevent neonatal deaths. Our specific aims are to: Aim 1: Evaluate a funded district-based dissemination and implementation strategy for the IDEAs intervention, using the RE-AIM model to assess the program’s Reach, Effectiveness, Adoption, Implementation, and Maintenance; and Aim 2: Via activity based micro-costing and health outcomes modeling, estimate the potential budget and program impact from the payer perspective to scale-up IDEAs compared to the standard of care. The results of this implementation research are expected to generate knowledge of global significance, and by providing a real- world implementation model for the IDEAs intervention and programmatically relevant information, is designed to lead to rapid policy translation for future scale-up in Mozambique, and more broadly in countries with high neonatal mortality and weak delivery systems.